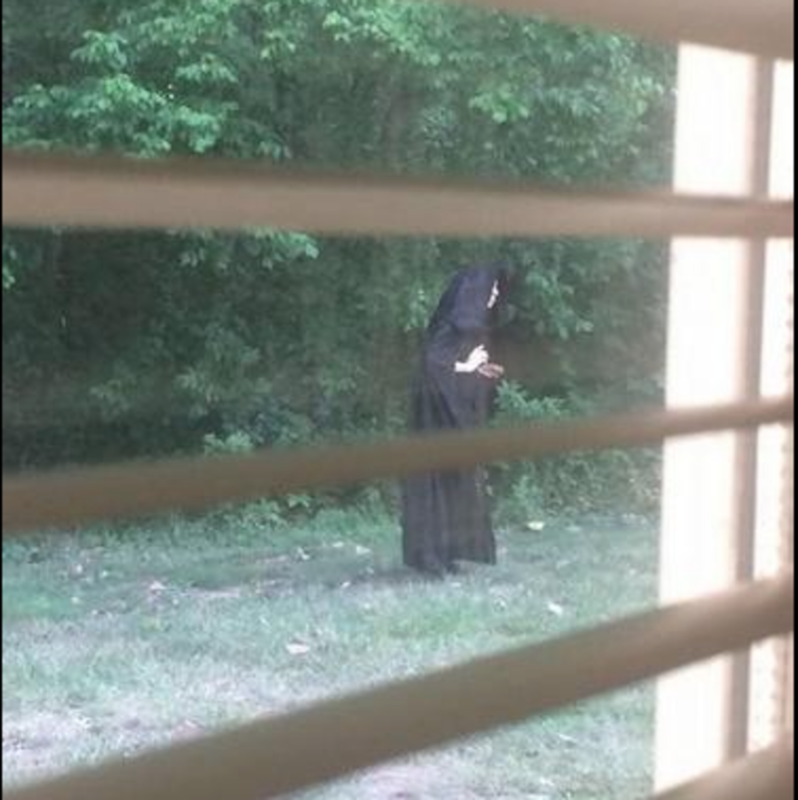 Photos posted recently to social media of a cloaked figure walking along a tree line have a North Carolina community searching for answers. 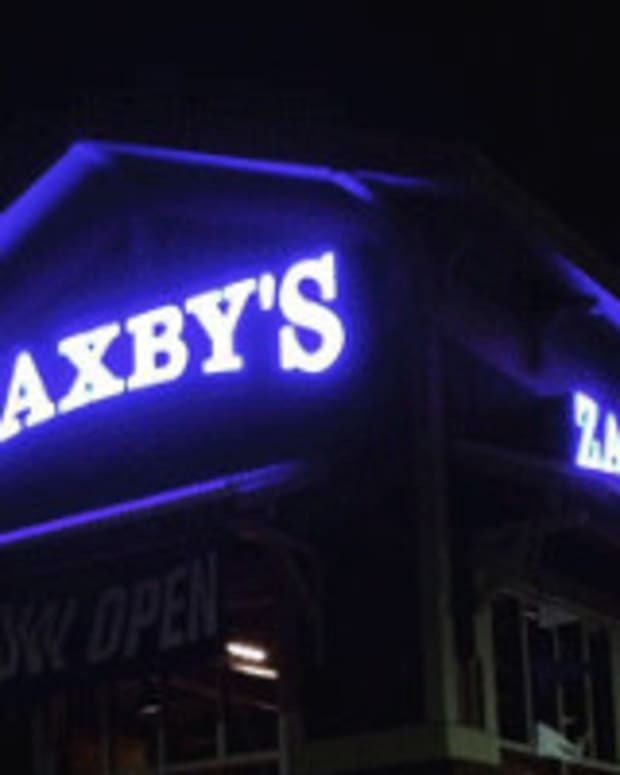 The two photos, that appear to have been taken through a window, with blinds in the foreground, showed up on Facebook earlier this week, according to WGHP News. 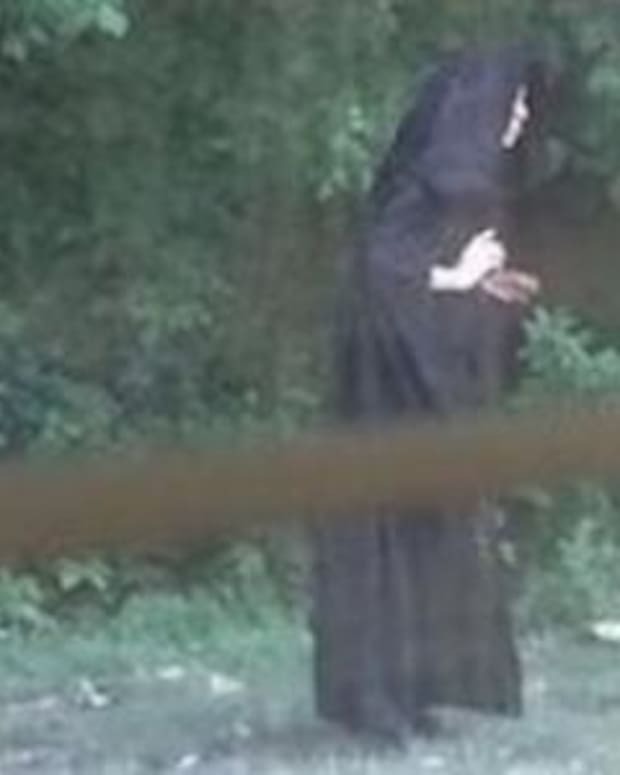 They show a person wearing a black, hooded cloak walking and standing in the grass near a line of trees. Only the person’s hands and small sliver of face are visible. It is not clear if the person is a man or or woman. They were originally posted to a Facebook user group called “One Man’s Junk,” reports The Gaston Gazette. It is unclear who took the pictures that were said to have been snapped near the Hudson Creek apartment complex in Gastonia. The pictures, and speculation about what they depict, began spreading almost immediately. 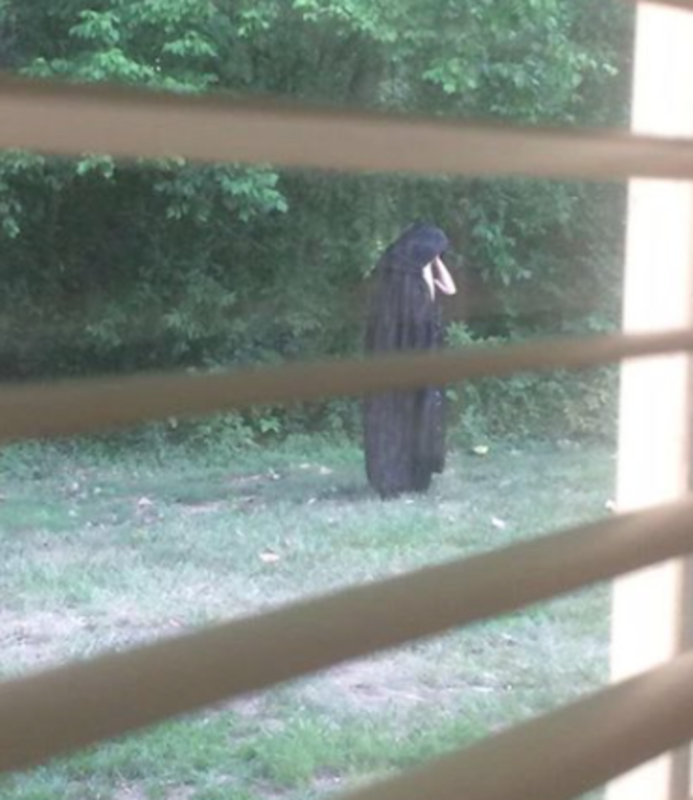 One seemingly persistent rumor is that the cloaked figure was dropping raw meat near a playground. But that has not been confirmed by police. 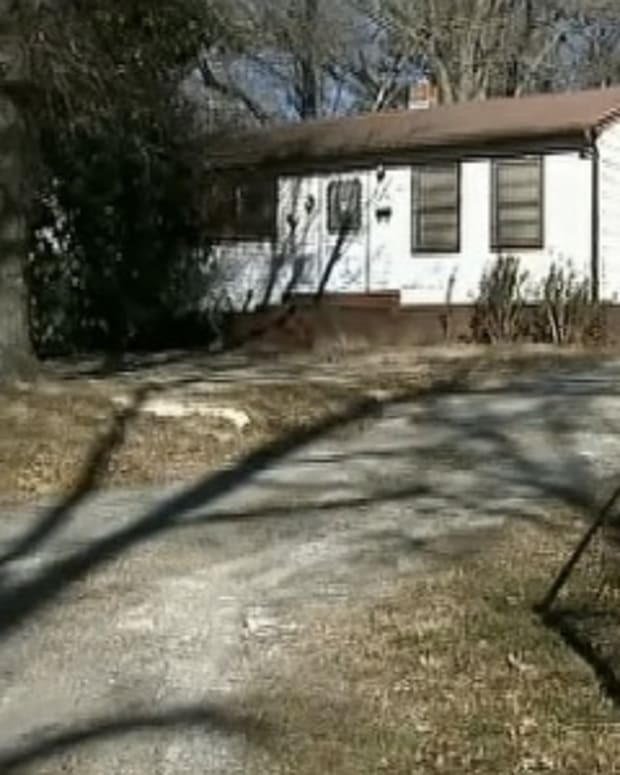 Nor have police confirmed that the photos were even taken in Gastonia. Lance Calhoun, director of operations for Southwood Realty, the management company that runs Hudson Creek, had few answers as well. “We don’t know if it’s one of our residents with an interesting way of presenting themselves, or if it’s a trespasser,” he said. But some who live in the apartments want answers. Brooke Conrad told The Gazette that her apartment backs up to the woods that border the complex. She fears for her daughter’s safety. 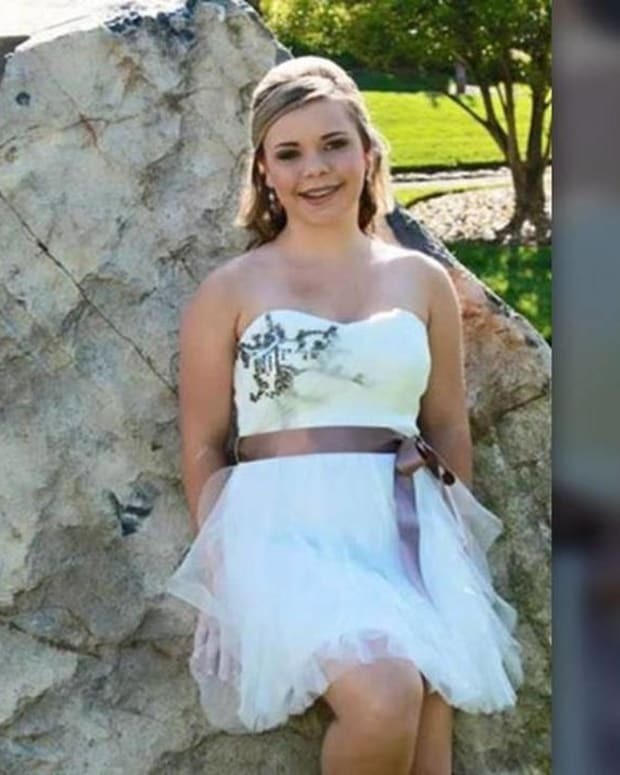 Even if the person, walking around in a cloak, turns out to be some sort of prank or hoax, Conrad said, her daughter could be frightened by the encounter. The story received more than 400 comments on The Gazette’s Facebook page but few seemed very concerned about the photos. “Handling raw meat is very dangerous!” joked user Shonda Stanton. “All the violent crime in Gastonia & we are worried about a nerd in a cloak?” wrote user Tim Irwin. If residents should see any suspicious behavior, police have asked that they be contacted immediately so they can investigate further.